A scant 3 days later and I’m posting again!? My goodness! I even surprise myself but even better news, I have 4 other recipes on back log! I took the time to cook this weekend so I have things to post in the coming week. Aren’t you proud!? I know you are! Have I ever told you how adorable my Munchkin (niece) is? Seriously, she has a PhD in cute, she knows exactly how to wrap me around her fingers and how to get almost everything she wants. It’s quite cute, honestly, if I were as cute as she was, I’d use those powers for evil and not good. Today was Aunty and Niece day, so I took her to her pre-ballet (that I found and signed her up for) class as well as a toddler gymnastic trial class. We ended our day with a picnic at a nearby park and feeding the ducks before bringing her very tired body home. She’s also a very big fan of soups and noodles. She’s a slurper and loves lifting up the bowl to her face to sip the last bit of brothy goodness her toddler spoon couldn’t get. When I cook these days, I’m mindful of her likes as well as exposing her to different foods. She’s a chicken girl but only likes a few veggies, at one point we introduced a fruit to her everyday for two weeks to see if she’d take to anything though bananas are still her favorite. 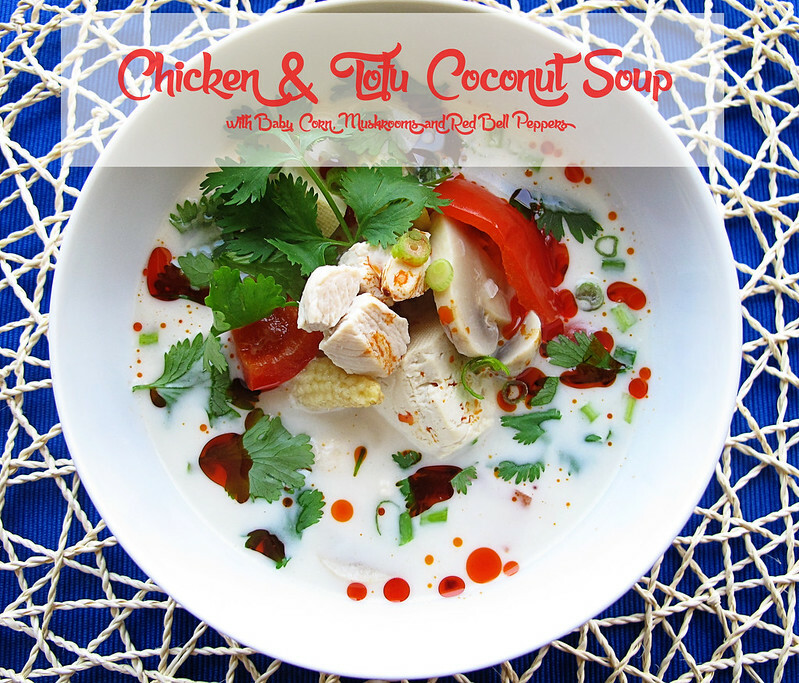 When I made this creamy, sour and flavorful chicken soup, she went wild! She wouldn’t eat the veggies but that’s ok, one battle at a time! 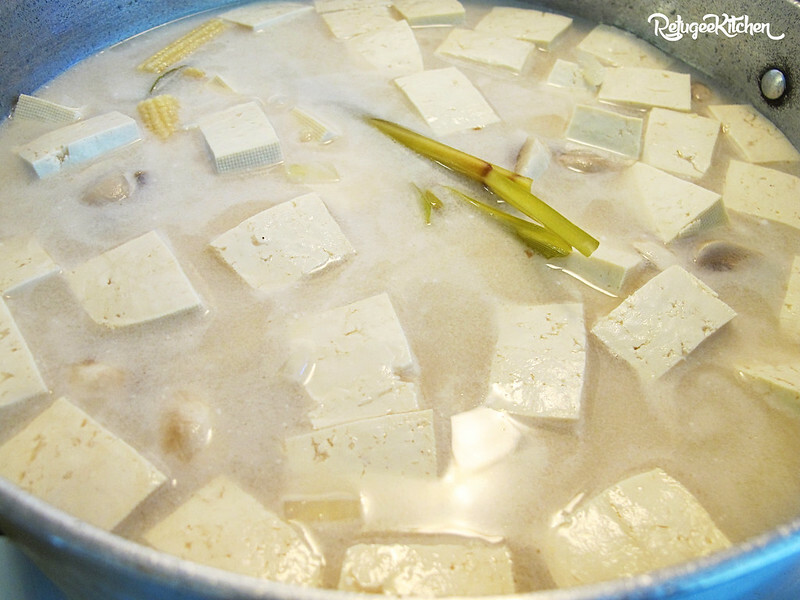 There are basic Khmer ingredients for building a delicious broth like Kaffir Lime leaves, Galangal and Lemongrass with creamy coconut milk, you can basically add any vegetables you’d like. Top with fresh herbs and extra lime wedges you have an easy soup to enjoy in 30 mins. I used boneless and skinless chicken breast today but you can substitute that with thigh meat or leave out the chicken and use vegetable broth for a delicious vegetarian variation! 1. In a large pot over Medium High heat, add ingredients Water through Onions. 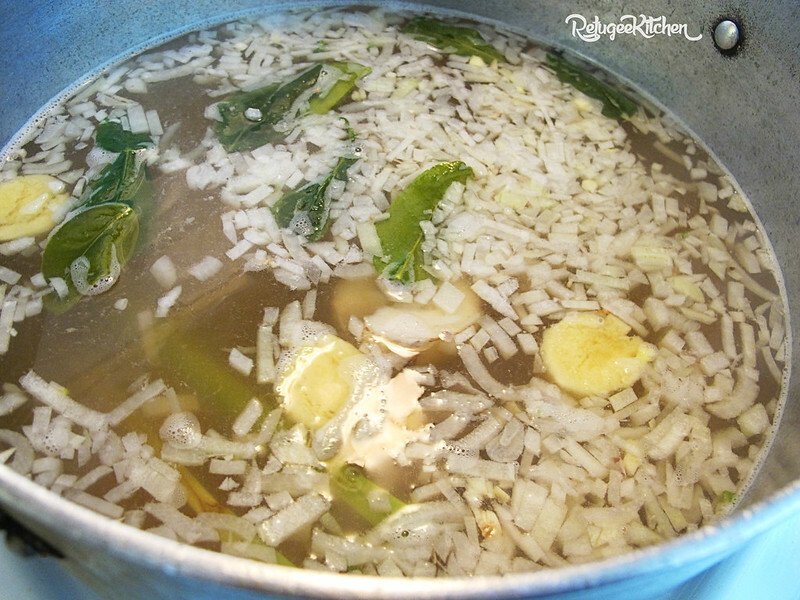 Bring to a rapid simmer and let simmer for 10 mins. 2. 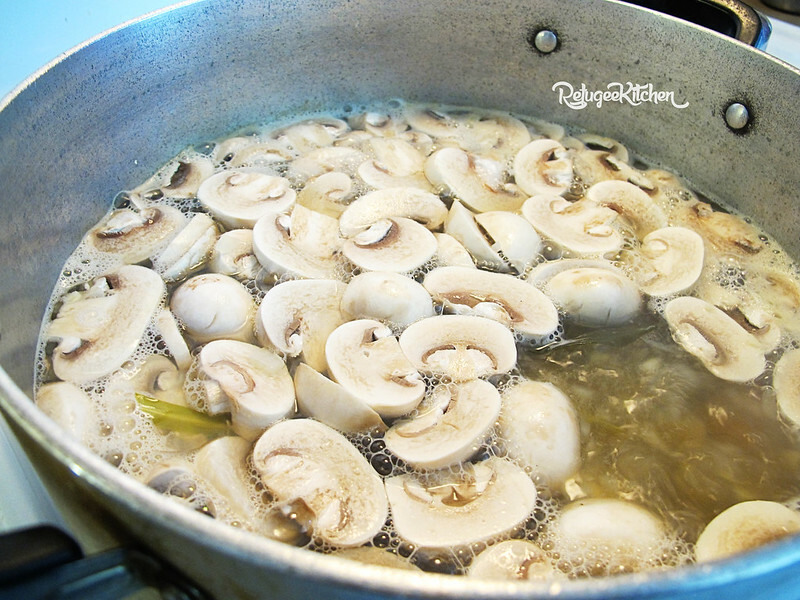 Add Chicken and Mushrooms, continue to simmer for 10 mins. 3. 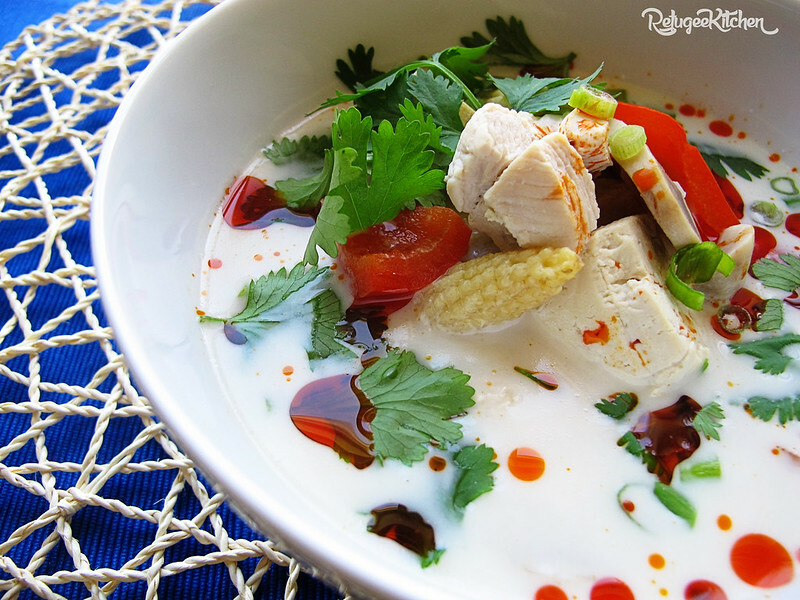 Add Baby Corn, Tofu and Coconut Milk, you guessed it! SIMMER! Another 5 mins. 4. 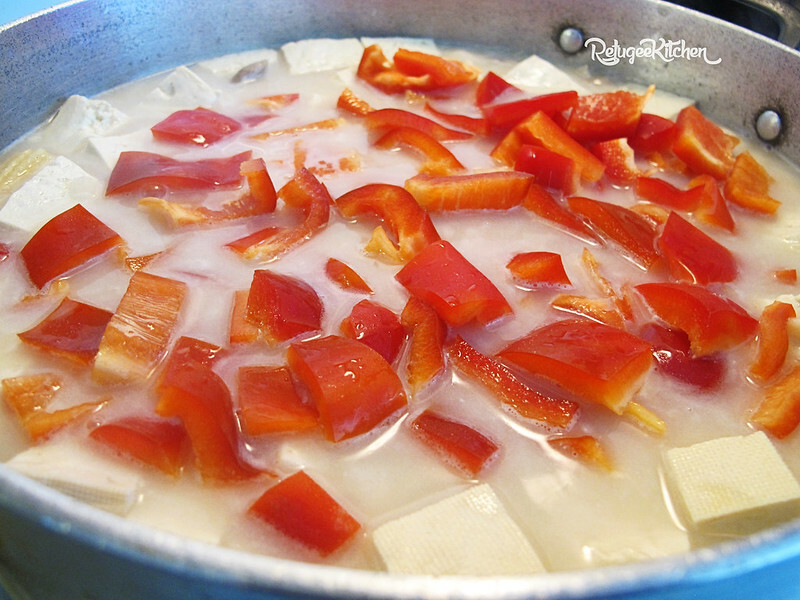 Add Bell Peppers, Sugar, Lime Juice and Fish sauce. Stir and cook another 3 mins before turning heat off. 5. 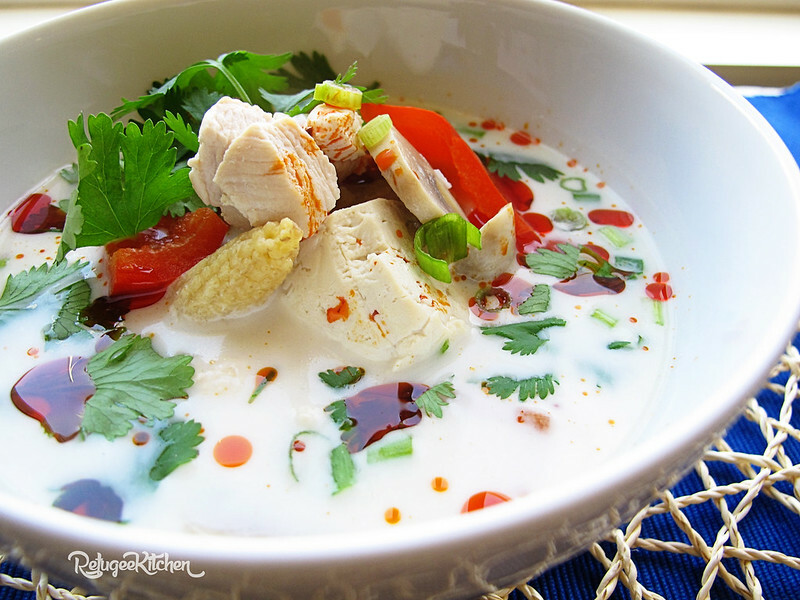 Serve Soup with Cilantro, Scallions, Lime Wedges and Chili Oil. Just don’t eat the galangal, lemongrass or kaffir lime leaves! You can fish them out and discard, I just leave mine in the pot! ENJOY! Taste even better the next day!